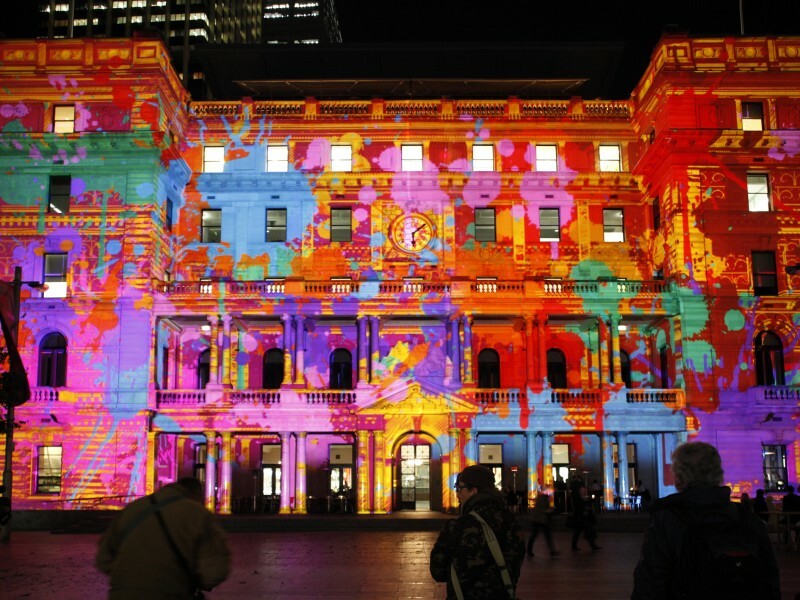 Vivid Sydney is a festival currently taking place, held from Friday 27th May to Saturday 18th June, celebrating the joys of light and music. It features many of the world’s most important creative industry forums displaying a mesmerising free public exhibition of outdoor lighting sculptures, installations and cutting-edge contemporary music. It is a festival that has caught the imagination of many by bringing the joys of light, music and other inspirational ideas altogether. Due to sheer demand, this year’s festival is going to run for an additional five nights. Heathrow, one of the most well-known and respected airports on the British Isles, has recently celebrated its 70th Birthday. The airport officially opened for commercial flights on 31st May 1946 and since then an astonishing 20 million flights – plus – have left the iconic aerodrome! John Holland-Kaye, Heathrow’s CEO has recently said that they are very proud of the role the airport had played in millions of people’s lives as well as its connection to the economic success in the UK as a whole. The Queen recently celebrated her 90th Birthday and how better to mark the occasion than a party? Her majesty’s landmark birthday, which was on 21 April, took place in the lit grounds of Windsor Castle each evening from Thursday 12 May to Sunday 15 May. It was a celebration of the Queen’s life, her love of horses, her dedication to the Commonwealth and international affairs and her deep involvement with the Navy, Army and ­­­­Air Force. Yes – Boaty McBoatface previously topped the public vote – but The UK’s new polar research ship is to be named RRS Sir David Attenborough. The decision to name the ship was taken by the government following a public call for ideas led by the UK’s Natural Environment Research Council (NERC). The search for a name attracted over 7,000 suggestions. Leicester City have won the Premier League title in one of the greatest sporting stories of all time. Leicester started the campaign as 5,000-1 outsiders for the title – after almost being relegated last season – and have achieved one of the most admirable title wins there will ever be. The government is to hand over more than £1m to Central Manchester NHS Trust from its Libor fund – made up of penalties paid by banks that break financial rules – to fund the hospital’s new helipad. Recent headlines like this clearly show how useful helipad’s are for hospitals. And what comes with this? ?…..Yes, helipad lights! LED helipad lights will cut through low visibility and always guide the aircraft to the heliport. With excellent illumination on the heliport you can be sure pilots will be able to locate the landing zone both comfortably and safely. Residents from Bootle, Anfield and Kirkby all reported seeing the phenomenon with lots of people speculating that the flashing moving lights were extra-terrestrials! Subsequently people from these areas navigated to social media platforms to share what they had seen and spread the word. A lot of people were confused, and in many ways unsettled, by what they had witnessed with the possibility of aliens even mentioned. Yes, aliens would you believe! Aviation warning lights….What are they actually used for? I can already sense you ready to ask…. Well, they are a key element for anybody involved with the aviation industry as they are used as a guide – or could I even say a marker – to warn pilots of any oncoming obstructions to their flight path. This clearly shows why the maintenance of aviation warning lights is monitored by very heavy legislation. This is done to make sure that regular reviews of the lights are made and to make absolutely sure that they are ALWAYS in operation! At Delta Obstruction Lighting, we are known for our LED prowess. We manufacture and install innovative LED lighting warning systems around the world and we monitor over 30 telecommunication sites globally. 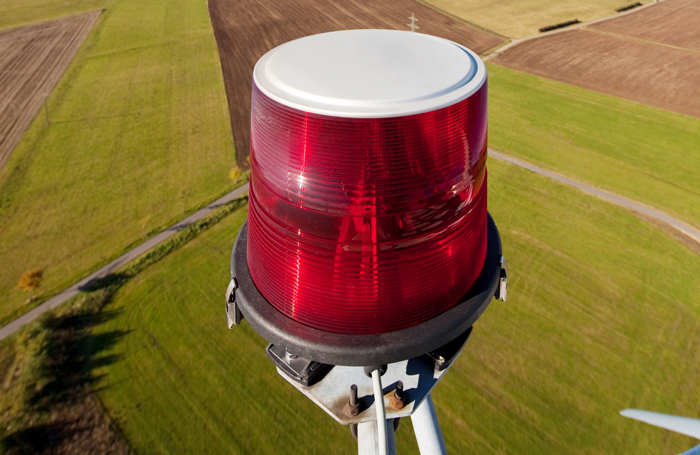 We explore the history behind the advancement of warning lights and how high powered LED aircraft warning lights is now the preferred solution. We have been made aware that there are a number of non-compliant aircraft obstruction lights currently being sold to the market. As a valued client, we need to make you aware of this. Think Delta For A Safer London Skyline. We are very proud of the work we have done in & around the London area.